Xeomin® (incobotulinumtoxinA) is a prescription injection used to temporarily improve the appearance of moderate to severe frown lines (between the eyebrows). 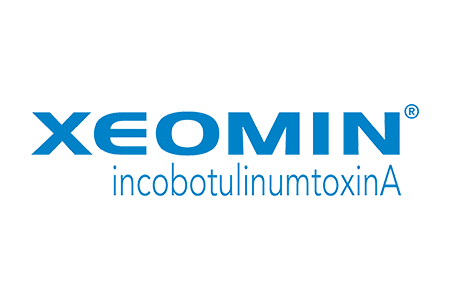 Xeomin® is a highly purified neurotoxin. Xeomin® injections prevent muscles from contracting. This causes a reduction in wrinkles, giving a smooth appearance to the area treated. When you squint or frown, the muscles between your eyebrows contract, causing the skin to furrow and fold. Over time, as your skin ages and loses some of its elasticity, these repeated contractions can cause persistent frown lines. XEOMIN® acts on nerve endings in muscles to prevent muscle fibers from contracting. By reducing these contractions, XEOMIN® can temporarily reduce the lines between your eyebrows. You may begin to see visible smoothing as early as 3-4 days after injection. The median first onset of effect was less than one week. The maximum effect occurred at 30 days. The typical duration of effect was up to 3 months in clinical trials, but may last significantly longer or shorter in individual patients.